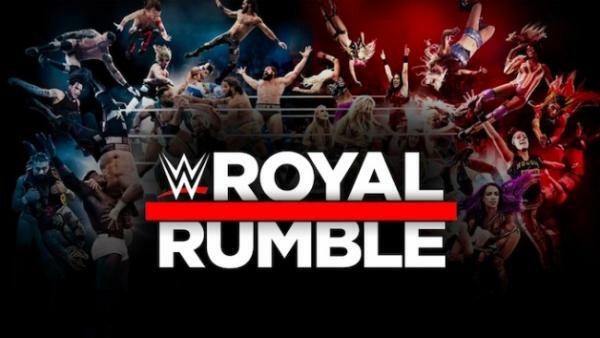 The WWE Royal Rumble 2019 pay-per-view (PPV) event has arrived. In regards to it, we have gathered all the relevant information which you need to know like results, live streaming, how to watch online, matches, date, start time, venue, etc. In this wrestling event, the superstars of both franchises of World Wrestling Entertainment – Monday Night Raw and SmackDown Live converge. It will take place at the Chase Field in Arizona on the road to Wrestlemania 35. The main card will start at 5:30 am IST. It is going to be a traditional match which came into inception in 1988 that starts with two wrestlers in the ring and other superstars join the fight entering into the ring at equal time intervals, eventually. A total of 30 superstars take part in it and the last man or woman standing wins the match. The winners will get to wrestle the champion of his/her choice on Wrestlemania 2019 in April. The Universal title is on the line in this match. It came into picture when the door of Mr McMahon’s limo was ripped off by Braun Strowman on one of the Monday Night Raw events. As a consequence, The Chairman canceled his bout against Lesnar. In the meantime, Balor won a Fatal-4-Way match and became the #1 contender to face The Beast. Daniel Bryan’s WWE Champion title is once again on the line as he gets to face-off Styles today. Despite felling short in the WWE TLC rematch, The Phenomenal One is strictly focused on reclaiming the title. He earned this chance by winning the Fatal-5-Way match. It will be interesting to witness such a championship match. WWE RAW Women’s Champion Ronda Rausey will defend her title against Sasha Banka, who has proven herself as the toughest challenger for Rausey in the recent times. Banks defeated Nia Jax to became the No. 1 contender to challenge the title. She is going to compete in one of the biggest matches of her career so far. Rousey is herself a force to reckon with. She is a former Olympian and UFC champion, and has made her way to WWE from MMA. Asuka will defend her championship title against the Irish Lass Kicker – Becky Lynch at this WWE event. If Lynch happens to win, then she will climb to the status of “The Man”. Speaking of Asuka, in 2018, the Japanese star won the all-female Royal Rumble match and this year, she has already become the Women’s Champion of Smackdown. The Kick-off show will start at 3:30 am IST on January 28, 2019. The viewers can watch the broadcast live on Sony Ten 1, Sony Ten 1 HD, Sony Ten 2, and Sony Ten 2 HD (Hindi) channels. The main event of Royal Rumble will start at 5:30 am IST. It can also be watched on the same television channels. However, if you want to watch it online, then you go for WWE Network and USA Network.